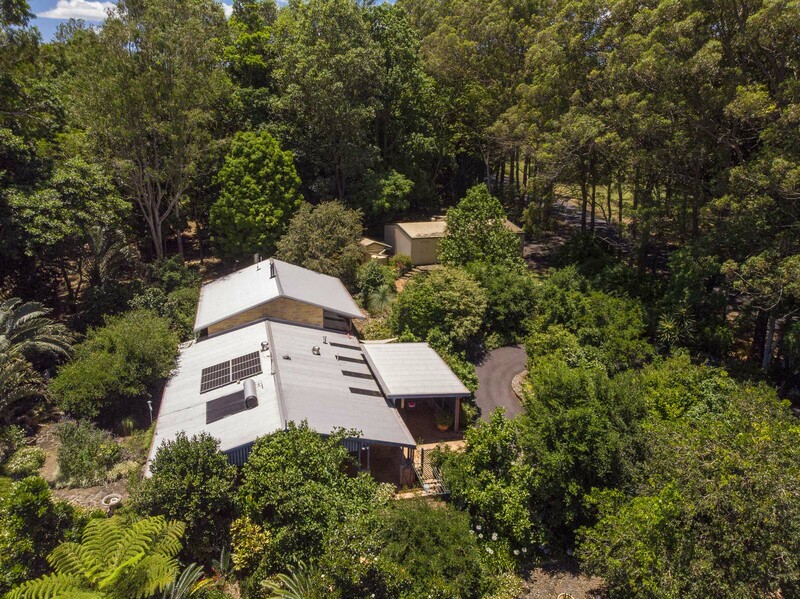 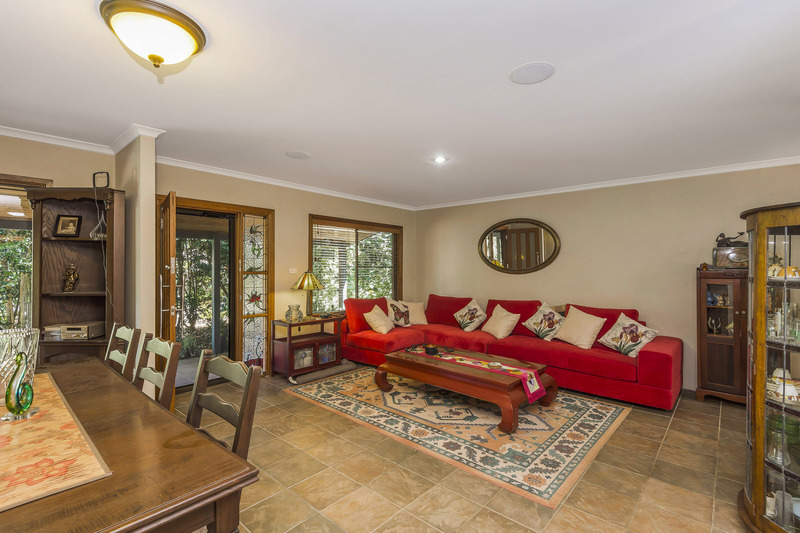 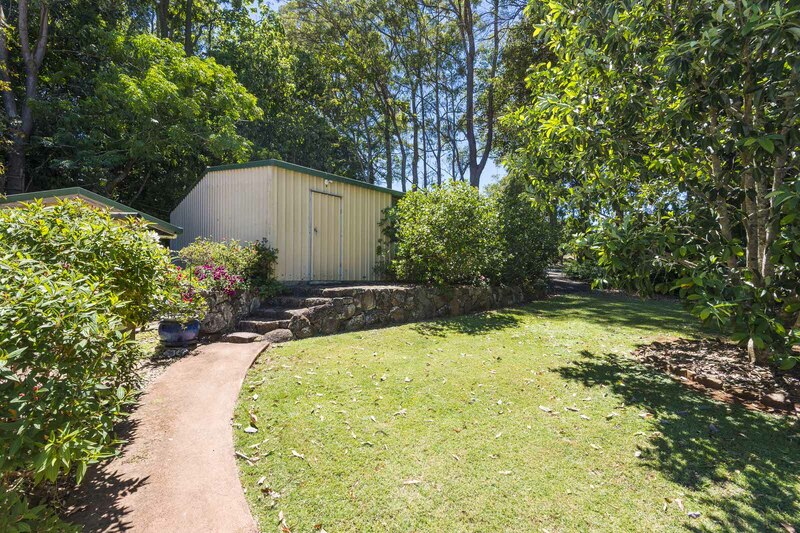 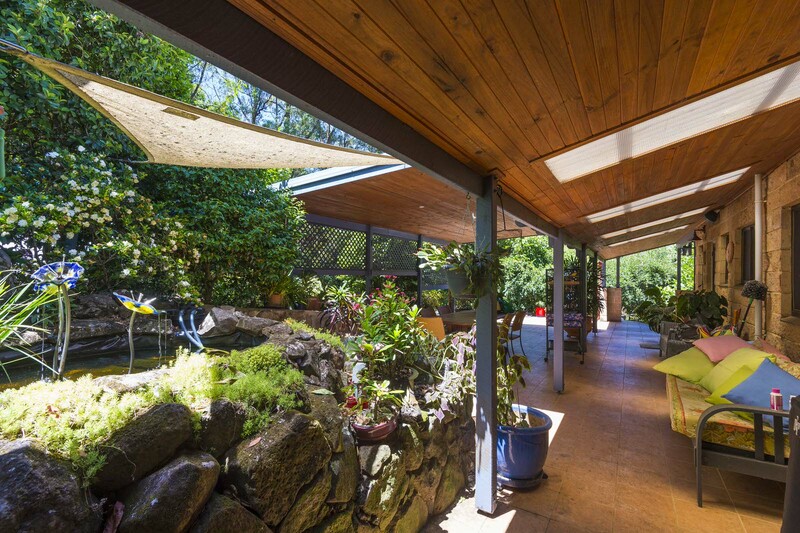 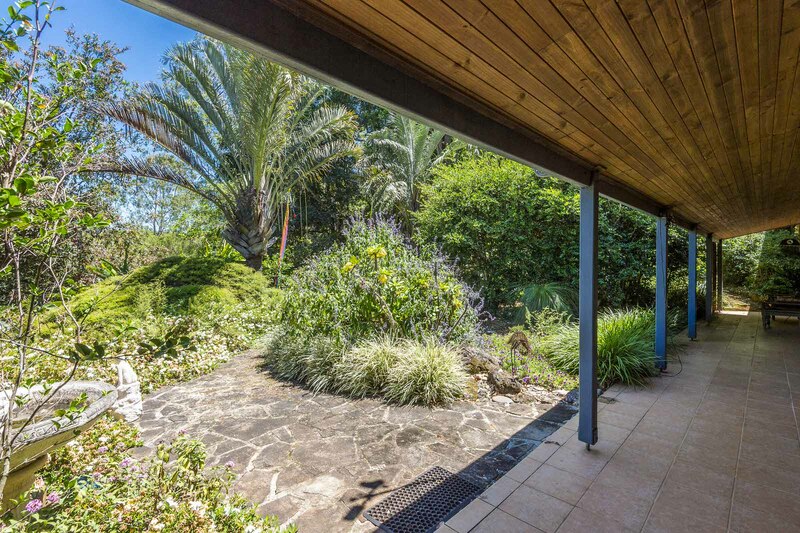 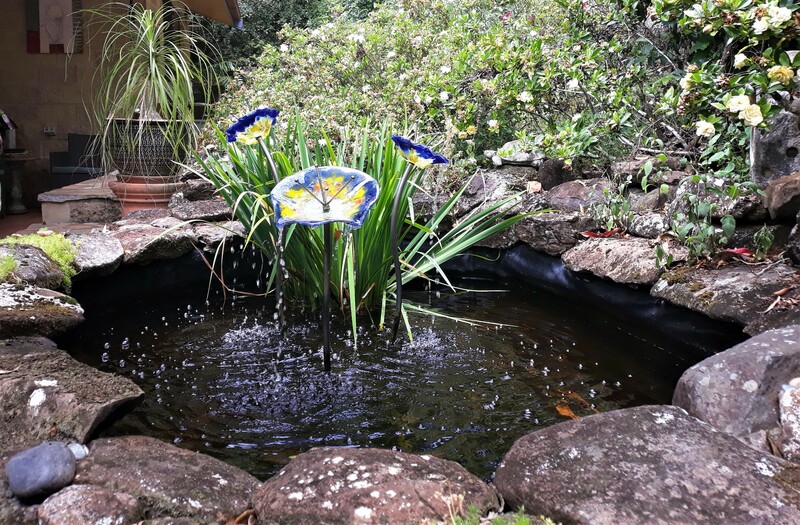 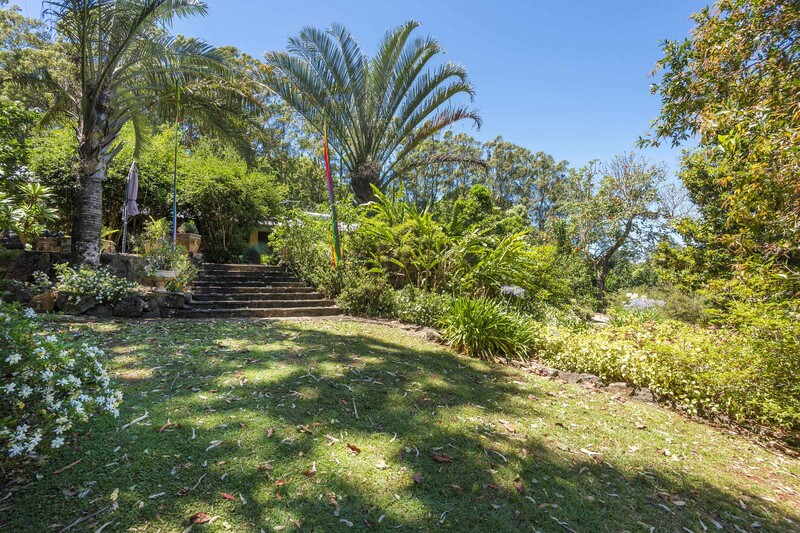 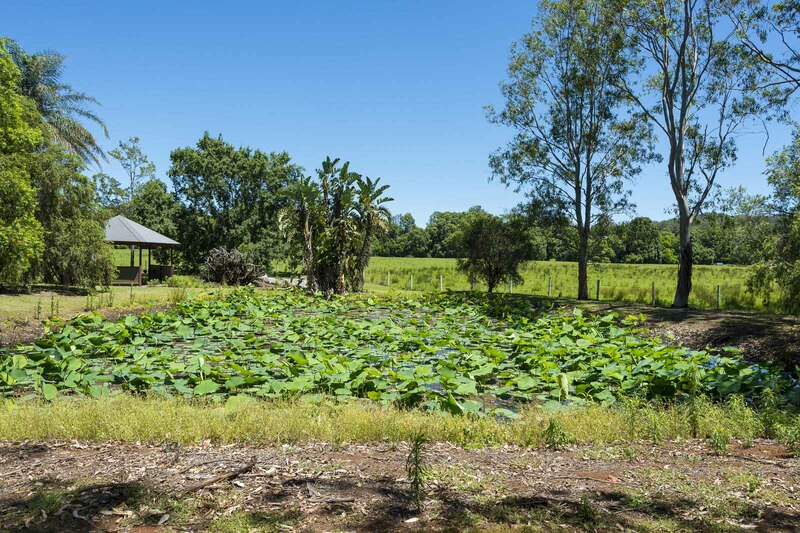 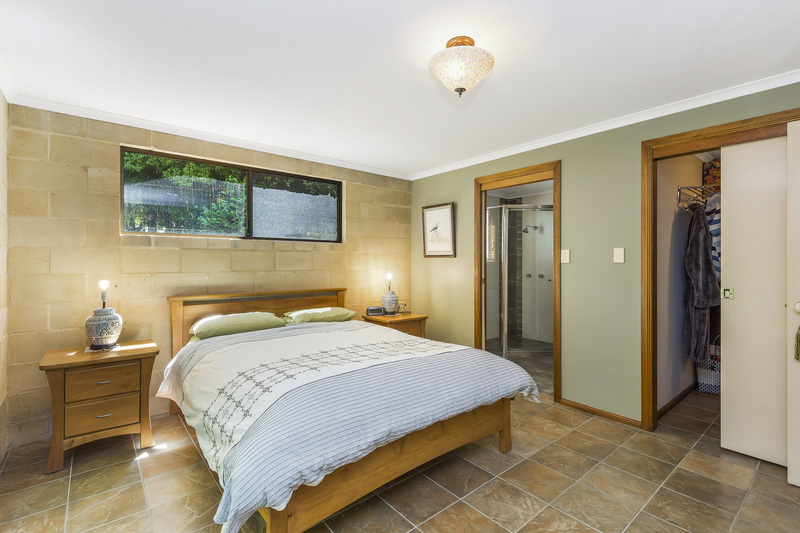 Privately set among 5 magnificent acres of tropical landscaped gardens with meandering stone pathways and abundant wildlife rests this gorgeous 3-bedroom homestead only 12.5 km to Lismore. 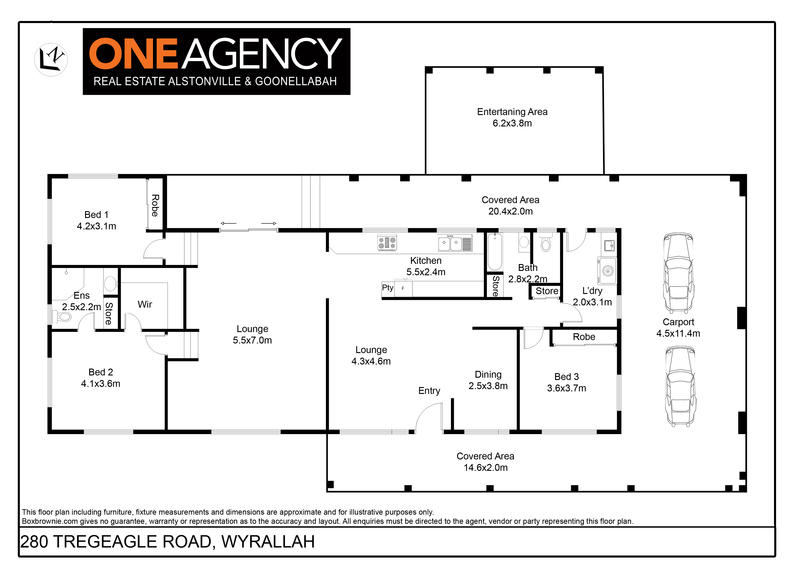 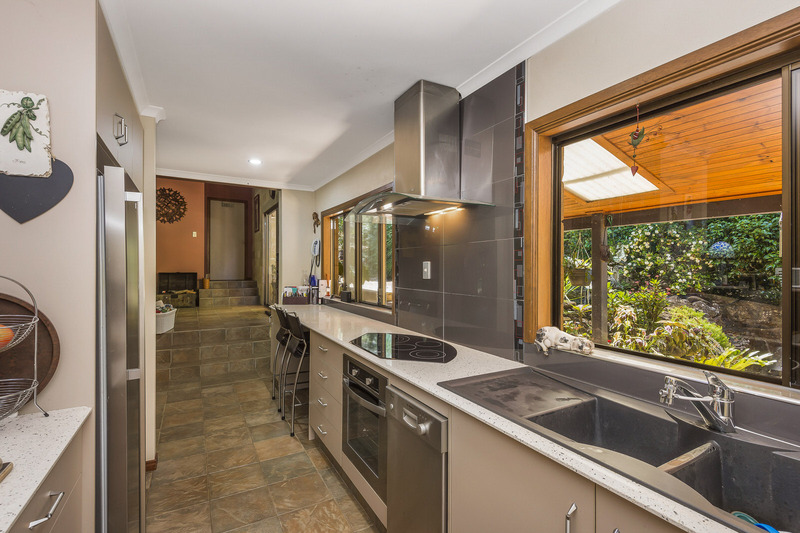 With a functional low set split-level design and slate tiled throughout the stylish interior this beautiful home includes a large open plan dining and living space adjacent to the elegant galley style kitchen with breakfast bar, quality stainless-steel appliances and dishwasher. 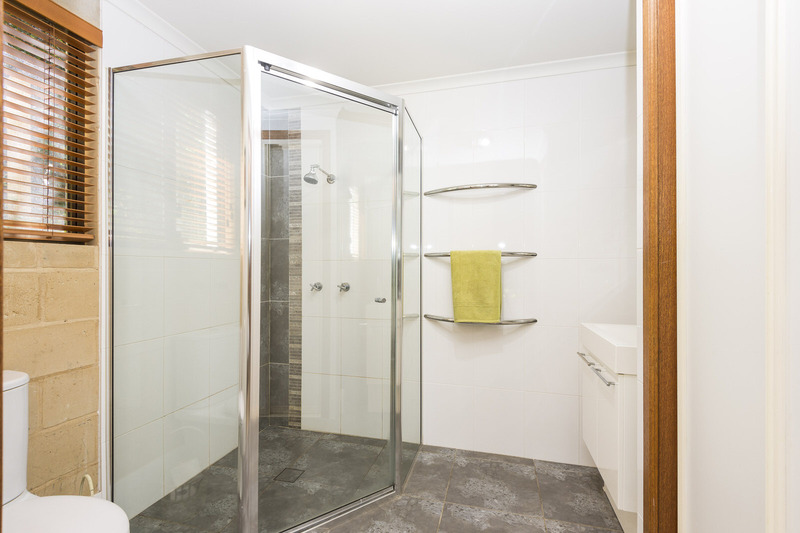 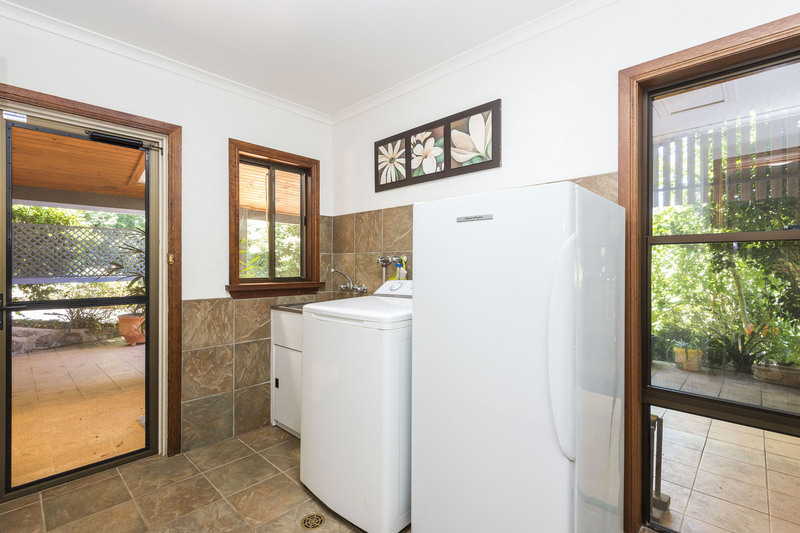 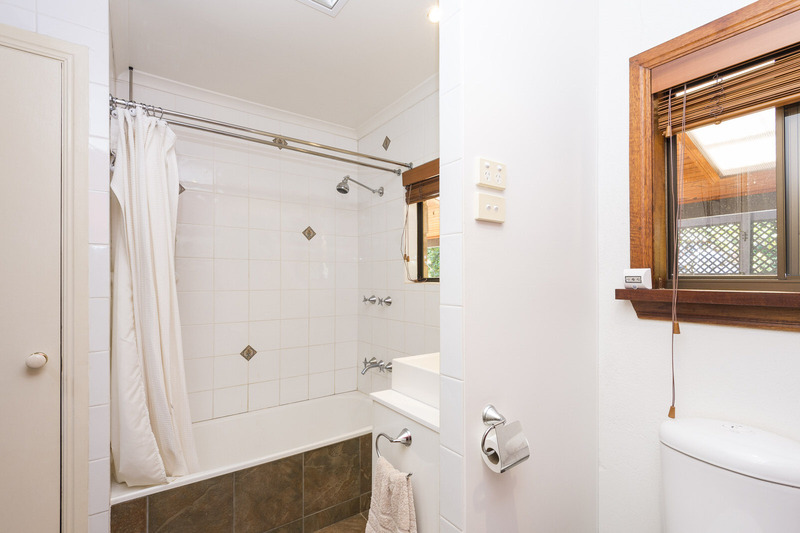 Stylish main bathroom with soaking tub, a separate laundry as well as a generous third bedroom completing the lower level. 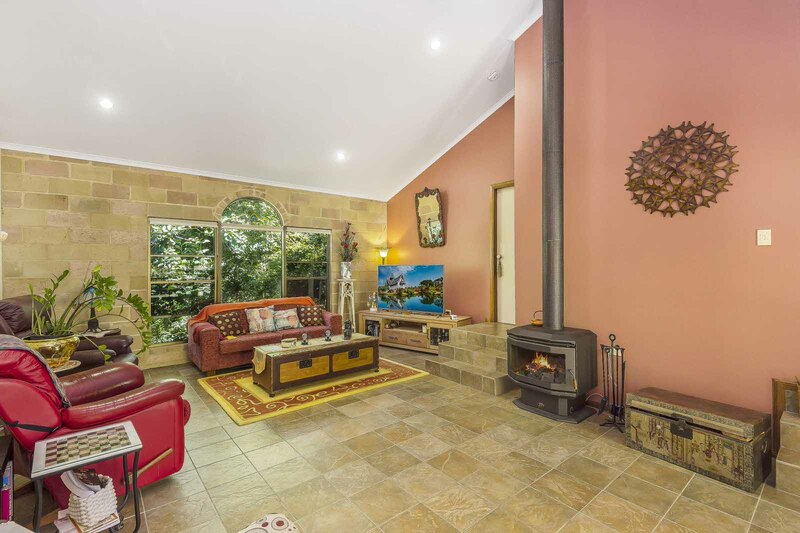 The upper level is a dream space, boasting soaring vaulted ceilings with a beautiful arched window feature and wood fire heater for cozy nights. 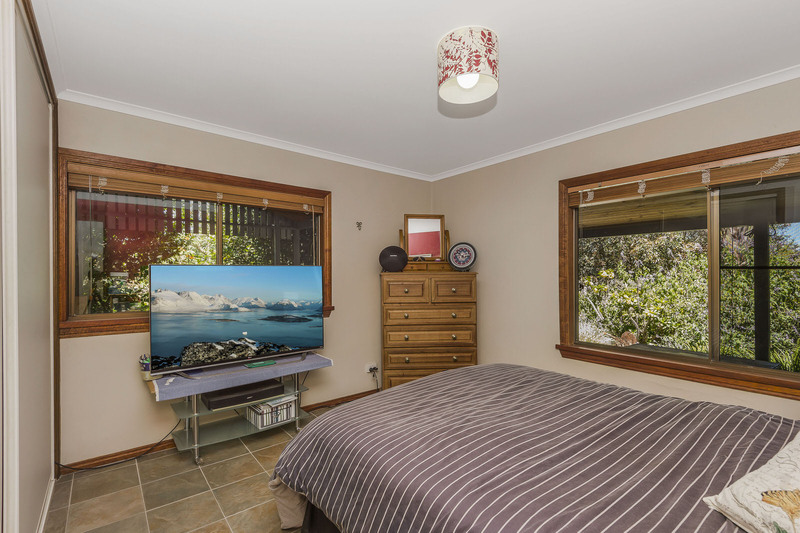 Two bedrooms including the spacious master bedroom a lovely retreat complemented by large windows, generous walk in robe and a contemporary ensuite bathroom. 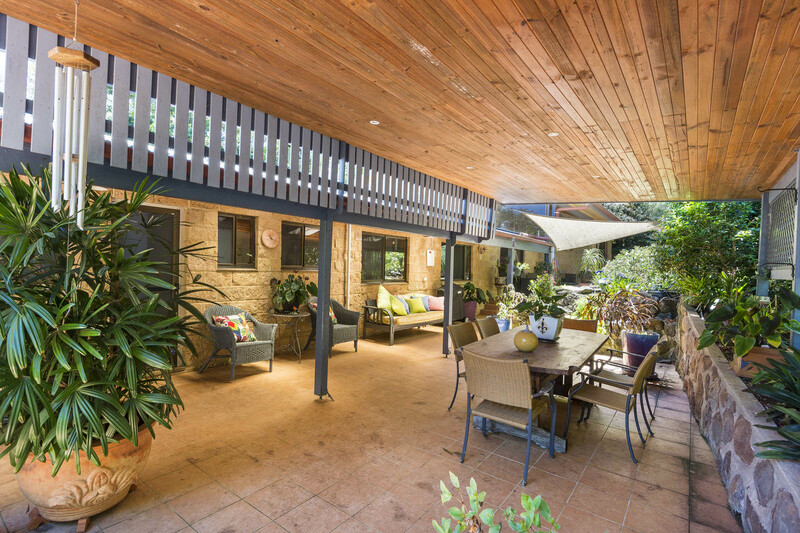 The front patio is truly the perfect relaxed space with the tranquil water feature creating a peaceful ambiance, timber lined ceilings and power for alfresco dining, entertaining or getting together and relaxing with family and friends. 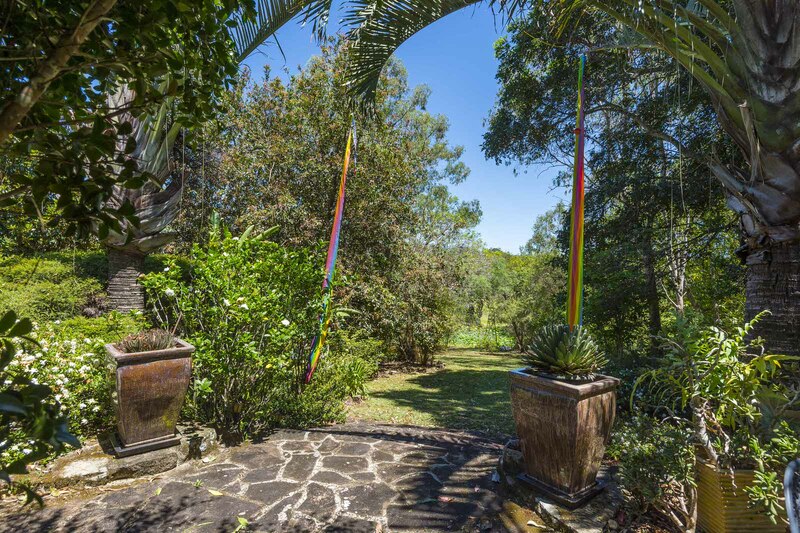 Step outside through the stained-glass feature door onto the back patio and encounter an enchanted world of wonder with the majestic stone staircase leading to the picturesque back drop of the Lotus flower dam and the charming outdoor gazebo. 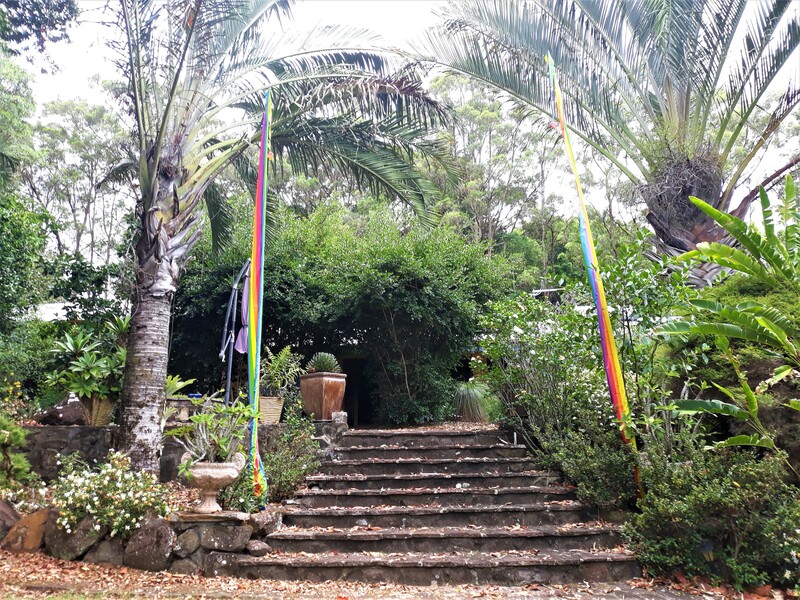 In Buddhism the lotus is associated with purity, spiritual awakening and faithfulness and when in bloom this already jaw dropping back drop makes an ideal spot for weddings and photo shoots with power connection in the yard ideal for setting up large functions. 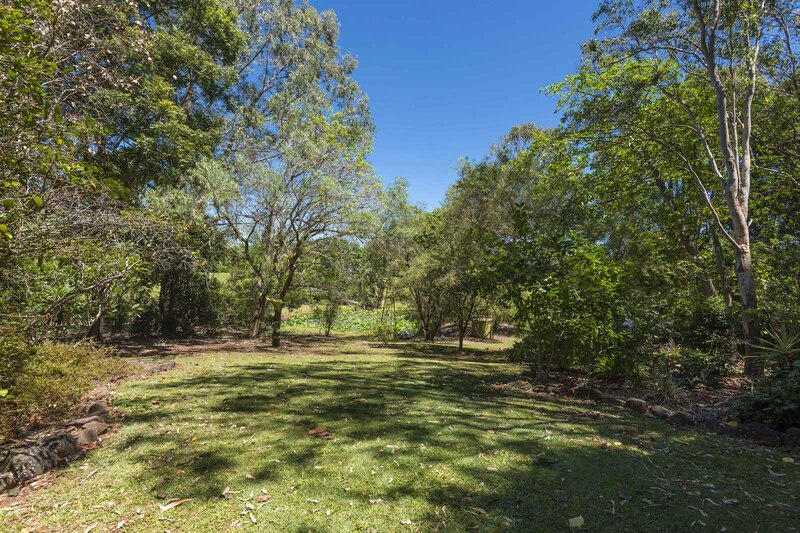 Private, peaceful and surrounded by nature, this exceptional piece of real estate is a blissful paradise offering relaxed living and a rare chance to purchase into the popular Tregeagle and Wyrallah area at a very affordable price. 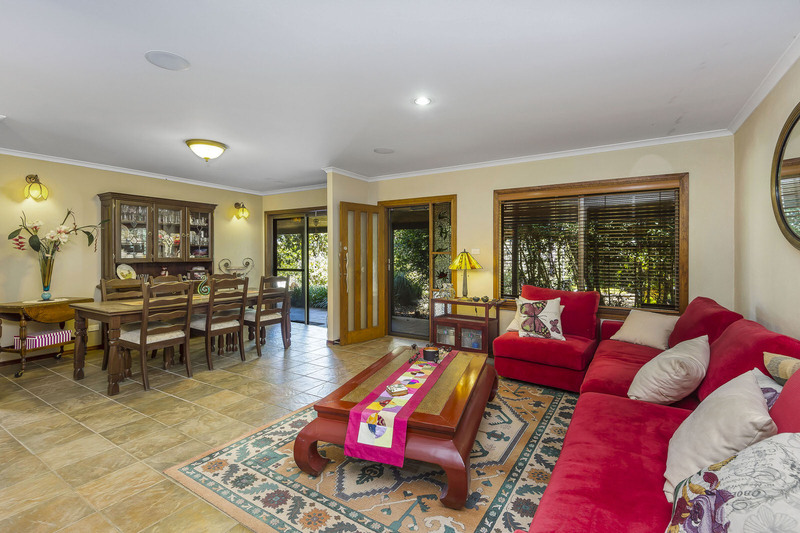 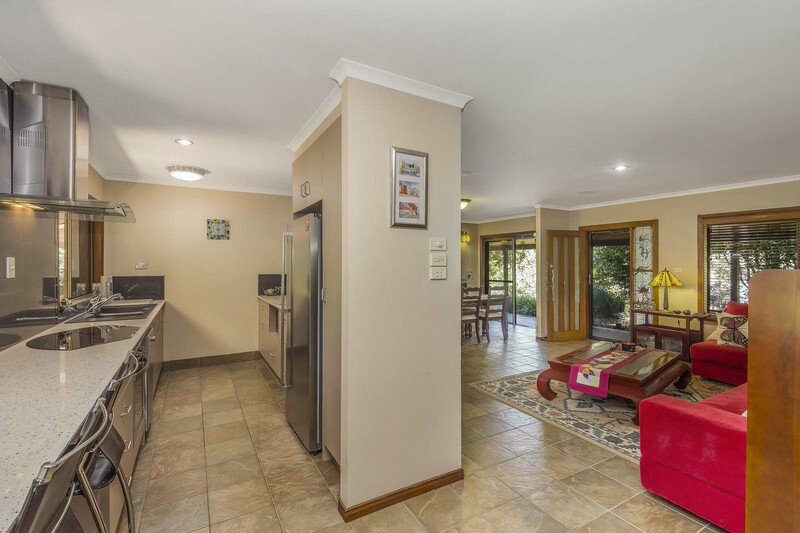 Just a short drive is the lovely Tregeagle Public School, 10 minutes to shopping and cafes in Goonellabah and only 20 minutes to the gorgeous beaches of Ballina.